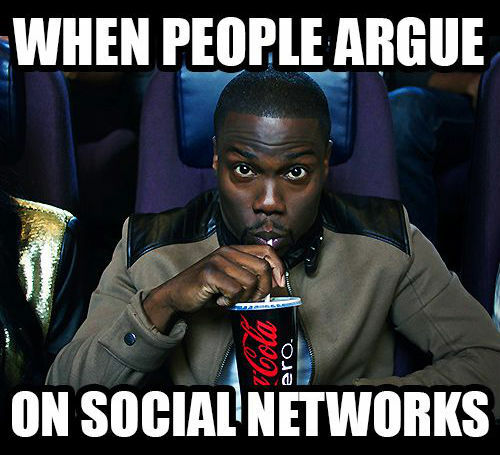 I’ve noticed with utter dismay; the way people fight, argue and insult each other on social media. I honestly don’t understand it. I see it in the comments section of facebook, Instagram, and blogs. You would see complete strangers insulting themselves simply because they do not share the same views or opinions. I believe social media is an easy means for communication; unfortunately, social media has turned people to mini devils. I don’t know whether it’s the economy, but the rate at which insults start flowing leaves me bewildered. I strongly believe that when we see these people, we won’t be able to insult them to their face, but social media has conveniently given us an anonymous platform to do wrong things. Another thing that bothers me is the way, some people insults celebrities. Social media has brought them closer to us, so it’s easier getting across to them, but the rate at which people insult them freely is bad. They’re human beings and they too have feelings. They can also get hurt. This attitude of insulting people online is not right, you can pass across an information/make comments without resolving to insults. The fact that someone doesn’t agree with what you said doesn’t make him/her an enemy. Please let’s be considerate of how we treat people, whether you see them or not. Ask yourself what I am about to type or say; if it is said to me, how would I feel? What impact would it make to the person I’m directing this to? If you’re in the habit of insulting people online, kindly desist from it, social media shouldn’t make us manner less and rude individuals. I would love to read your comments concerning this issue, I appreciate you for reading.